Saint-Modeste, October 6, 2017 – Berger is excited to announce the signing of an agreement with the coastal park, Parc Côtier Kiskotuk, for the next 10 years. 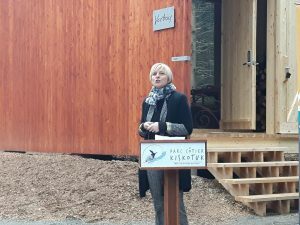 Parc Kiskotuk is a regional park that will be officially inaugurated in the spring of 2018. It is composed of a string of coastal sites in Cacouna, L’Isle-Verte and Notre-Dame-des-Sept-Douleurs. The park will offer a variety of recreational and educational activities. For Berger, a third-generation family business, investing in education and family activities has always been important. 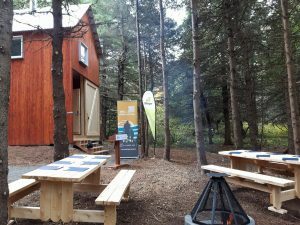 Visitors to Parc Kiskotuk can explore the park’s biodiversity and discover the roots of the Maliseet First Nation as a family. “We are pleased to fund the visitor centre which will offer interpretive activities, making it the starting point for young and old alike to explore the park,” says Mélissa Berger, co-CEO of Berger. In addition, Berger is strongly committed to responsible and sustainable peatland management to minimize the company’s impact on the environment. 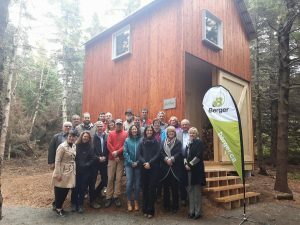 By supporting the development of Parc Kiskotuk, Berger is continuing its own conservation efforts and promoting conservation of the natural environment by others. Berger invites everyone to visit the park starting today to see the first new facilities surrounded by glorious fall foliage.